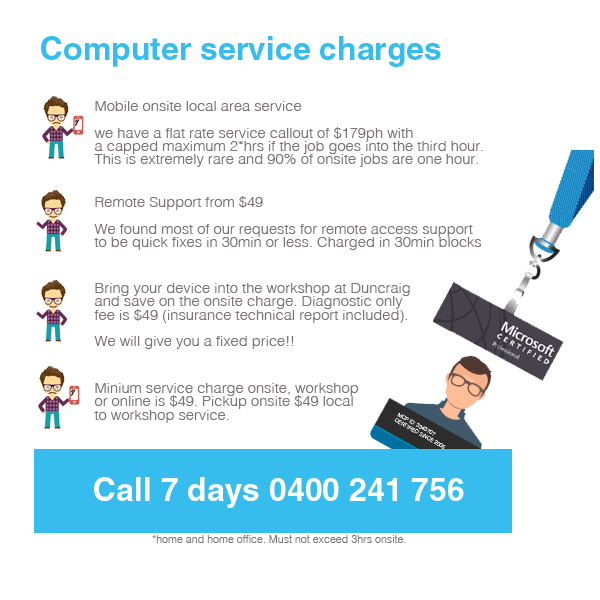 Local computer repairs Mullaloo WA 6027 - Microsoft certified support service "
We service the entire northern coastal suburbs of Perth and our flat rate mobile technician service is inclusive of travel. 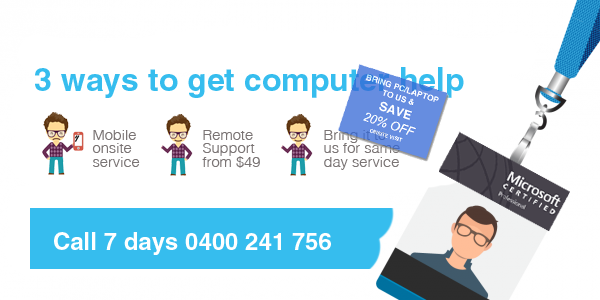 We provide computer repairs Mullaloo 7 days a week with same day service. We are a registered partner with Microsoft which means we receive ongoing training in new technologies such as Windows 10 and all its upgrades. 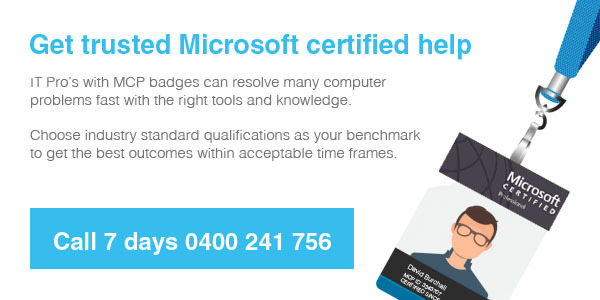 We also have the industry standard qualification as a Microsoft certified support specialist. This is your benchmark for professional service and competence. We receive service calls from Mullaloo involving everything from family computers and networks, through to home office and small business systems. 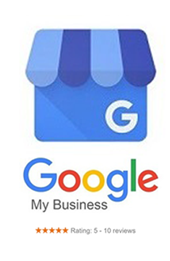 Our aim is to provide the best customer service experience at a fair price. Our 30min Quickfix solution is very popular and can help you tick off those annoyances for just $49 for the 30min service. Just explain your issue over the phone, we'll get all the right answers and call you back to start your 30min session. It pays to utilize the skill and experience of a professional computer repair service. Since 2005 we have developed a reputation for quality service which resolves issues quickly and in best practice. Band aid solutions tend not to last long - we get to the real underlying causes of problems. You do not pay anymore for professional service, and often you will even pay less because of the time frame. You can have a mobile computer technician at your door often within an hour or two. Onsite service is treated as priority. We offer onsite, workshop based, and remote access service. You choose the best option for you. Need advice? Just give us a quick call. We are user friendly and communicate technical terms and issues in plain speak. How safe is your remote access service? When we log into your computer it as though the technician is sitting there with you. You can see everywhere we go, reading error logs, running diagnostic scans and so on. We cannot open a folder without you seeing it. The remote access software we use for computer support, from Mullaloo to Broome, is industry standard fully encrypted and invisible to scammers. This service is available 7 days a week to around 8pm each evening. We are a short drive from Duncraig to Mullaloo - you can also choose to visit us. The beauty of desktop and laptop computers, unlike your kitchen sink, is they are portable. You save a bundle by bringing it to us!! we can run system diagnostics, integrity checks on your drive or graphics engine, deep level malware scans beyond the scope antivirus programs, and the large updates we see in Windows, over many hours without you paying for that extra time. We are able to set a quote amount on a job and stick to it for the bulk of work we do. If you need hardware replacement, such as a hard drive, or ram memory, we will source the best price locally through our own suppliers and you can save on the normal store prices. Please make enquiries about upgrades or replacements you have in mind. Most call outs involve one hour jobs, but if you have a a faulty drive for example, and need the data recovered from that drive we will switch over to cheaper workshop based price quote, and charge only an extra $49 for time onsite. examples of recent work we did onsite which involved workshop diversion. Please book your computer early for same day service. Call first to be sure we are not on calls. We are a leisurely drive from Mullaloo,turn into Marmion and it's only 15mins away. Easy! We do a lot of work in the workshop but may be out on a service call - so please call or text first to be sure someone is here! Tip of the day for Mullaloo 6027 Windows 10 computer users! Here are a bunch of tips to get you up to speed on Windows 10.
the system menu shortcuts can be found at hold down the start key and with your right hand tapping the letter x. Look for the underscore letter and just press that letter on your keyboard. Need to find out if your laptop is worth fixing? - diagnosis charge only$49. some battery issues are caused by issues other than the battery. We may be able to fix it and avoid replacement battery. notebook not starting? it could be a minor issue. Interesting facts about SSD (solid state drives) - Should you upgrade? There are inherent problems with normal spinning platter hard disks. They have moving parts which generate heat. Some computers have poor ventilation systems and generate more heat than others with better fan systems. These spinning platter drives and getting pretty ancient now. The old IBM 650 had this technology in 1956. The new SSD (solid state drives) took a long time to get to reasonable prices. They are currently at an all time low for our "preferred SSD drives". Some SSD's have a reputation for reliability and long mean hours, other not so reliable. A good quality SSD (certain models from Samsung are good. Samsung SSD's are now owned by Seagate - home of the popular Barracuda HDD). SSD's are transistor driven drive with no moving parts. They are super quiet and super fast and do not generate the same degree of heat as a standard platter drive. The flash is very robust and these drives can reach a great many hours of work before failure points. Some manufacturers claims up to a million hours. It is all true by and large. SSD's are more likely to lose data than platter drives - this may have been the case in the early days but not anymore. SSD's are not that much faster than a high performance desktop drive - the performance difference between HDD and SSD is night and day. There is a feeling of flowing rather than click and wait on platter drives. Special offer on SDD drive upgrades! !